There’s something truly special about the North Georgia Mountains. The unique beauty of the Blue Ridge range and the forested slopes are enchanting and beautiful. Part of the signature beauty of the North Georgia Mountains is in the region’s many waterfalls. Waterfalls in North Georgia make for great hiking destinations as well as just being soothing and beautiful to look at. 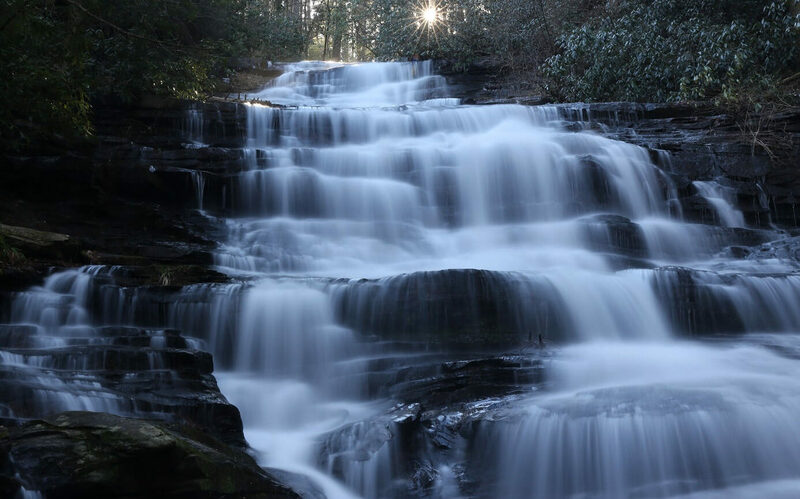 There are dozens of waterfalls in North Georgia, and during your next stay at Glen-Ella Springs, you should consider going out to explore a few of them. We’ve come up with 10 fantastic waterfalls in North Georgia that are worth the hike to see. One of several waterfalls in North Georgia with a Cherokee name, Amicalola Falls is a great place to hike. The name means “tumbling waters” and the beauty of the falls is worth one of the several hikes you can take to see Amicalola Falls. Minnehaha Falls is considered by some to be one of the best waterfalls in North Georgia. The falls are 60 feet high and cascade down in three to five foot increments before flowing into a wide base at the bottom. The first of two waterfalls on the Angel Falls Trail, Panther Falls is about 50 feet high on Joe Branch Creek. The second waterfall on the Angel Falls is Angel Falls. These falls are also about 50 feet high and are of the cascade variety. Accessed by a 2.7-mile round trip hike, High Shoal Falls is a massive 50 foot tumbling waterfall. Many say that this is another one of the best waterfalls in north Georgia. Tallulah Falls is made up of a series of waterfalls in North Georgia located in Tallulah Gorge State Park. The six falls that make up the larger Tallulah Falls are: l’Eau d’Or Falls, Tempesta Falls, Hurricane Falls, Oceana Falls, Bridal Veil Falls, and Lovers Leap Falls. The tallest of these falls is Hurrican Falls which measures 96 feet tall. When you’re deciding which waterfalls in North Georgia to see, make sure to make your accommodation arrangements at Glen-Ella Springs. 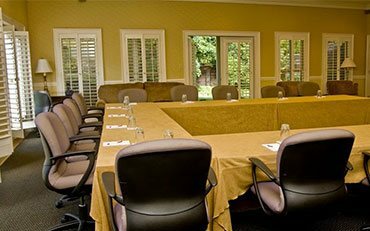 Our Clarkesville inn is the ideal place to stay during all of your adventures in the North Georgia Mountains. 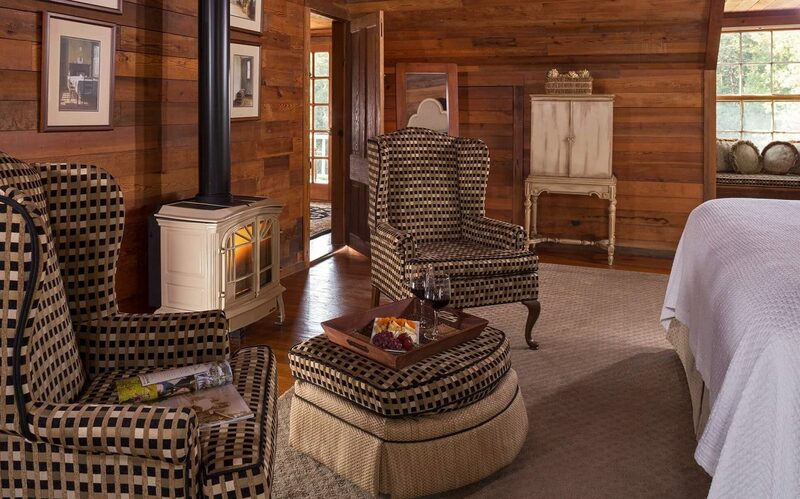 Our rooms and suites combine rustic elegance with modern comforts to create the perfect getaway spot. Once you’re on the property, you’ll feel relaxed and reinvigorated. You can walk the grounds surrounding the inn, find a rocking chair on the porch, or take a swim in our pool. Of course, each morning you’ll be treated to a delicious full breakfast to get your days started right. 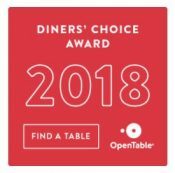 Also, our onsite Restaurant is one of the best fine dining establishments in the area. You don’t have to leave the property to enjoy innovative dishes made with fresh, local ingredients. 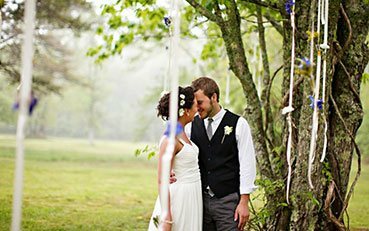 When you choose Glen-Ella Springs for your North Georgia getaway, you can be sure that you’ll have a memorable trip! We can’t wait to have you with us soon! 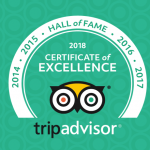 When you are done exploring the amazing waterfalls be sure to check out all of the other great things to do in North Georgia. We put together a list of our favorite activities in our free Vacation Guide. 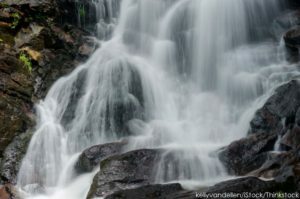 Here Are Some North Georgia Waterfalls You Need to See!